Amsterdam is one of Europe’s most vibrant, eclectic and exciting cities. Known for pushing boundaries, Amsterdam has a relaxed, laid-back vibe. Yet it is also rich in history, culture and tradition. 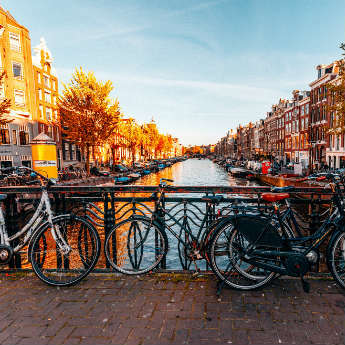 This perfect blend of old and new makes Amsterdam a popular choice for city breaks- but with great attractions come steep prices, and if you’re not in the know you may find yourself easily out of pocket! Luckily, there’s plenty of fun things to do in Amsterdam that won’t break the bank. This handy guide shows you how to see the best of the city without spending a single euro! The main square is the ideal spot for watching the world go by. As the hub of the city, young and old alike flock to the square to shop, eat or relax. Its location also makes the perfect base for exploring the rest of the city and taking in some of the oldest monuments. The square showcases some of the city’s most historic and iconic buildings- from the gothic Nieuwe Kerk (New Church) to the centuries-old Royal Palace and well-known department store De Bijenkorf, the square is a happy blend of old and modern. Stroll around the square for a whistle-stop tour of the key monuments, enjoy a spot of window-shopping or sample Amsterdam’s café culture with a coffee looking out over the bustling square. Exploring Amsterdam on foot is one of the best- and cheapest- ways to see the best that the city has to offer. Many companies offer free, guided tours that take in all of the key attractions and points of interest. 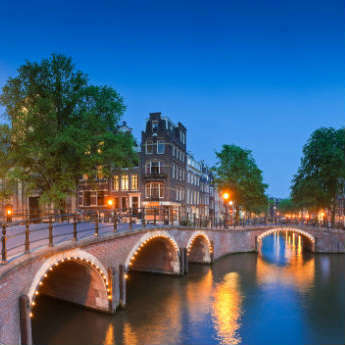 As the best way to see Amsterdam’s vibrant culture and heritage, most walking tours let you see all that the city has to offer from the 17th century canals of Amsterdam’s Golden Age, the beauty of the Amstel River and the moving Anne Frank museum. Why not “go Dutch” for lunch with a friend? Amsterdam thrives on the buzz of its koffietijd – or coffee and cake- culture. On almost every street, great cafés offer great biscuits, cakes and pastries. Although not free, a decent cup of coffee and a cake should only set you back a few euros and lets you sample bite-sized versions of Amsterdam’s national dishes. Amsterdam’s very own secret garden dates back to the 15th century. It’s a little medieval haven hidden behind a small door in the centre of Amsterdam. Here you can see the oldest house in the city, which dates back to 1475. Its peaceful gardens and historic buildings make it the perfect place for a relaxing picnic or lazy afternoon admiring Amsterdam’s architecture. Amsterdam’s largest park is a world away from the hustle and bustle of the busy city centre. Relax with a picnic like the locals do, wander around the beautiful gardens or enjoy a magic trick from one of the many street performers. During the summer, the Vondelpark hosts live open air festivals and concerts- all free of charge. With its laid back vibe, the park is the perfect place to unwind and re-charge your batteries after a busy day of sightseeing. As one of the more modern and relaxed European cities in both attitude and culture, the Red Light is famous for its open approach to prostitution. The district makes up an important part of Amsterdam’s identity and the area boasts some of the world’s most vibrant and popular clubs. But there is more to the district than just that- great bars, restaurants, lively clubs and a network of pretty canals and historic buildings make the district well worth a visit for an insight into an alternative Amsterdam. Regular ferry crossings between the Noord (north Amsterdam) and the central districts let you explore the relaxed Noord district for free. Here, markets and street stalls have grown in popularity and now attract hundreds of visitors at a time. The country’s largest flea market IJ-Hallen is the ideal place to browse handmade furniture and ornaments. With so many free things to do, you don’t have to blow your budget to enjoy the best of Amsterdam. 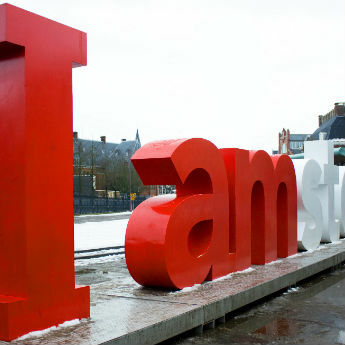 Open your mind without opening your wallet, Amsterdam might just surprise you! More: Free Things To Do In Dublin.